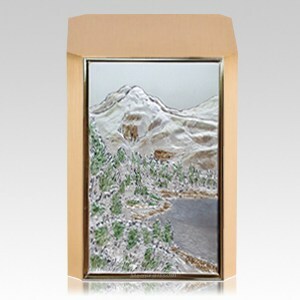 The Mountain Peak Bronze Cremation Urn is a bronze cube with a beautiful applique featuring a scene of a peaceful mountain. 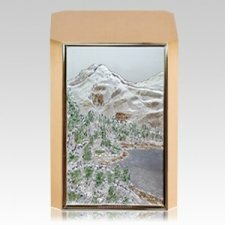 The Appliqué is hand-painted and has sterling silver embossing with a gold-tone border. A truly classic and dignified urn for your loved one.